Christmas time can be a difficult period for a lot of people and I think this image and sentiment from Digi Stamp Boutique makes a nice little card to let someone know you are thinking of them. Happy Christmas 2017! What are you going to be doing tomorrow, I wonder? These are three penguin cards I made with a recent release from DigiStamp Boutique to get you in the festive mood. 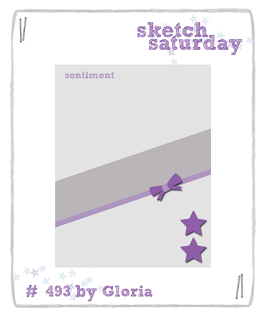 This is super cutie from Digi Stamp Boutique. I was looking through my digi stamps and found this cute Christmas pug set from DigiStamp Boutique, released a few years ago. I thought that I just had to get it printed and make a few cards. Word Art and TeaBag folding! Something a bit different for me but thought I would try to use some of DigiStamp Boutique's word art to make some Christmas cards. I got the bug for teabag folding the other day when I made a Christmas tree for a card and so decided to do it again. What do you think? Such a cutie this Milly image from DigiStamp Boutique (released in November). Do you go away at Christmas to family or friends? We haven't ever done but I know people do. This new image from DigiStamp Boutique makes me smile at the thought. We are sponsored by Star Stampz and one lucky winner will receive 3 dig images of their choice. I used Christmas Tangle on my card. Unicorns are so popular at the moment- well I think they have been popular for a few years now actually but the trend has worked it's way down to the young kids. I was asked by some grandma's to make a couple of cards for their Granddaughters using this PaperNest Doll image. Something a bit different to all the Christmas stuff around at the mo- a Valentine's/Anniversary card using a DigiStamp Boutique image. I'm in love with this paper stack that I bought recently. The image is a cutie from DigiStamp Boutique.